You might think that there is nothing new under the sun in terms of buying fresh flowers. There are so many outlets to buy them – supermarkets, garages and loads of online sites offering next day bouquets. But have you ever stopped to think about how supported the flower growers are? Or the carbon footprint of your bouquet? Some supermarket roses, for example, have flown half way around the world and spend up to 2 weeks in cool cells before you get them. iFlowerGift.Com is a new company which works directly with the growers to ensure that they get a fair price for their flowers. Flower farm workers are often paid a pittance so this is similar to a Fair Trade scheme. And, to keep the carbon footprint low, they use existing postal services to send them. They offer fresh flower gifts and floristry supplies with the added incentive of free UK postage. Most of their flowers come from a sustainable flower farm in The Netherlands and are cut on the morning of the day they are sent. 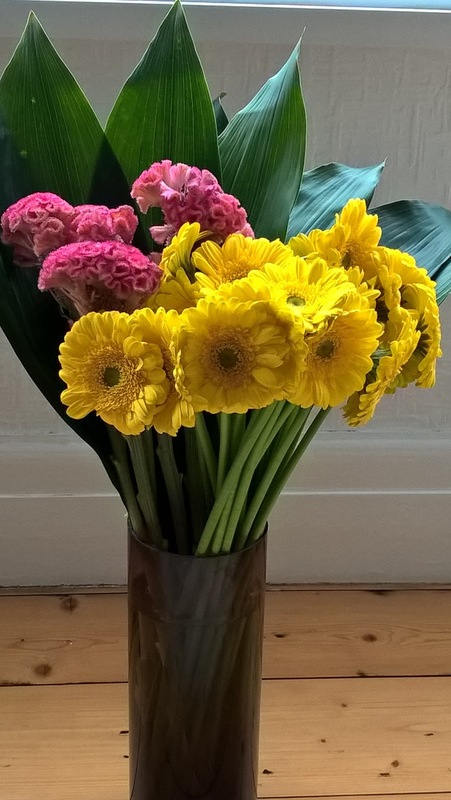 I was invited to try out their service and I chose some lovely pink and yellow blooms. I chose the “pick a flower colour” option where you choose one basic colour and the price rises incrementally depending on how many other colours you choose. My bouquet came in at under £22.00 which is very good value for postal flowers. You can add a personalised message (up to 140 characters) on satin ribbon at an extra £2.88. There is also a range of monthly flower subscriptions starting at £14.40 per month which would make a lovely Christmas gift. I opted to pay via PayPal, which I am using more and more these days. There is nothing more annoying than having to hunt for your purse when you want to buy something on line and my payment went through with no problems. 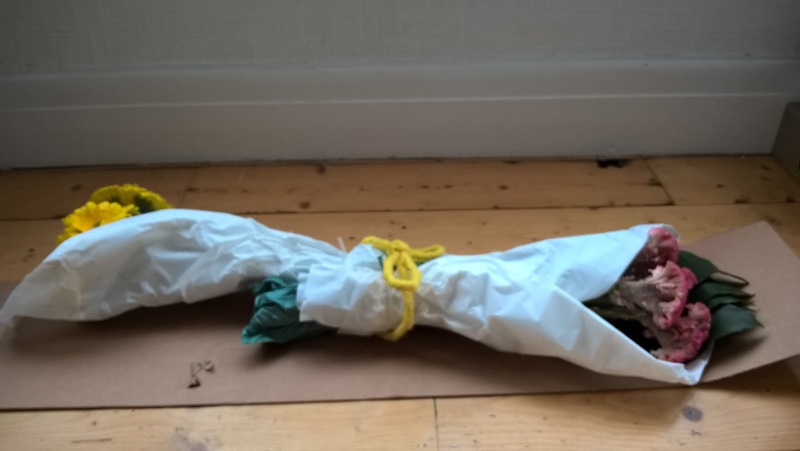 The flowers arrived in a tall cardboard box but when I removed them, I was surprised at the clever way they were packaged. Each bunch of flowers was wrapped separately, laid end to end on a piece of card and tied down with yellow twine. Does anyone know what these beautiful pink flowers are? On the end of each bunch was a moist protective packaging which will keep the blooms fresh for up to 5 days. You do have to arrange the flowers yourself and I am no Jane Packer but the flowers came with sufficient foliage to do a decent enough job, if I do say so myself. 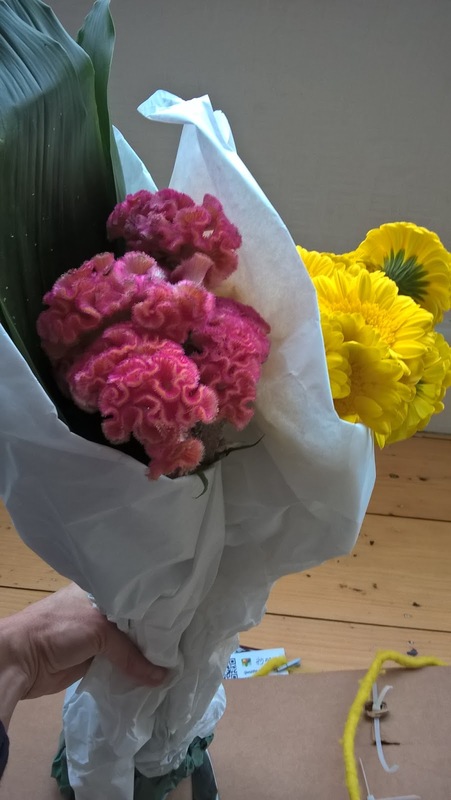 Although I had picked colours, the actual choice of flower is made by iFlowerGift.com and whilst I recognise yellow carnations (I think! ), the pink flowers are highly unusual. In fact, I don’t think I’ve ever seen anything quite like them. That element of surprise made the flowers even more special. I ordered flowers on a Tuesday and although the site said they would arrive Saturday / Monday, they arrived a day early on Friday. I did take a few minutes to find my way around the iFlowerGift.com website as there are few pre-arranged bouquet choices. It is very much up to you to use your own creativity and purchase the seasonal flowers available to arrange into your own displays. This does mean, though, that you can control the cost of your bouquet. Prices are really reasonable with a dozen long stemmed red and white roses at under £25.00. I think flowers from iFlowerGift.com are certainly worth a try for someone who really knows their flowers and enjoys arranging them. I found the quality of both the flowers and the packaging to be much higher than flowers I have previously received from other online outlets – at a reduced cost. 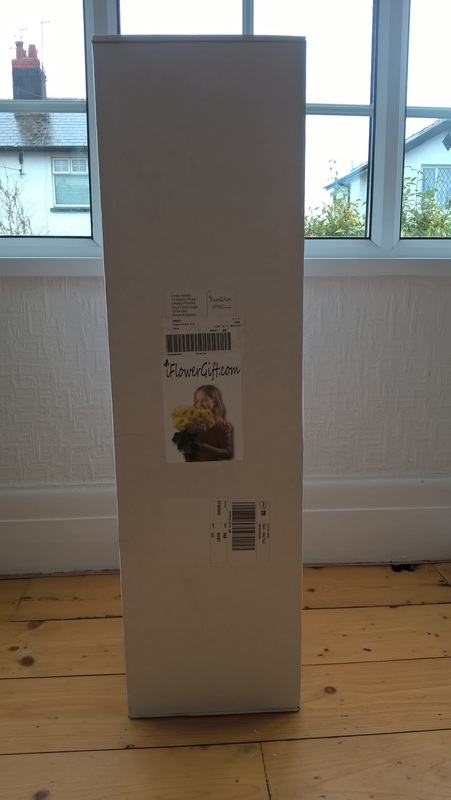 iFlowerGift.com has certainly thrown down the gauntlet to the other big flower ‘names. Further information is available at www.iFlowerGift.com. UPDATE: The foliage is Aspidistra leaves, the yellow flowers are mini gerberas and the unusual pink flowers are celiosa! "Teach Your Children The Real Spirit Of Christmas"